Accommodating any Size and Budget for your event! 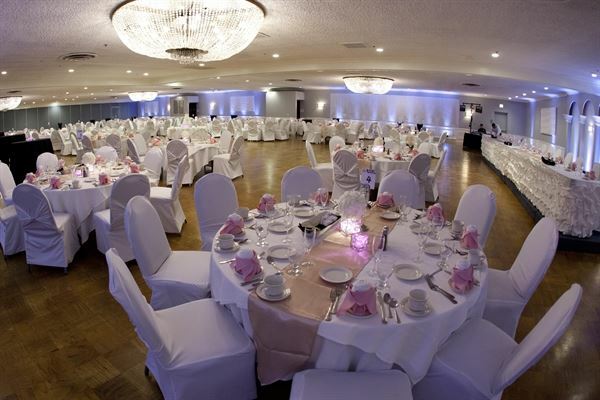 The Grapevine Catering specializes in all your event needs with exclusive catering at The Grapevine Banquets. Wedding ceremonies can be held on Premise. Facility offers both Hospitality Rooms and Bridal Suites. Beautiful venue in the Garden Room at the restaurant. Guests loved it. Hot day so a tad warm because of the glass, so don't dress for a normal a/c room. Leave your sweaters home. Food was delicious and service was phenomenal. My only regret was that the rest-rooms were not handicap accessible. Otherwise, this room is the perfect place for an event. From start to finish the people at the Grapevine made my charity event one to remember! Thanks so much to everyone there who helped to make it a success! The food was wonderful, venue was beautiful, and the staff was so great to work with!